Father's Day is coming up soon, and I know many of us are racking our brains for gift ideas. I know for a fact that, every year, I really really try to think of something perfect; and of course I want it to be perfect because I am a Daddy's Girl. As a daughter who has only received the very best her father has given her, I have always felt it fair to reciprocate whenever I can. Originally, I was going to give an introduction to Oral B (the brand); but seriously, who hasn't heard of it? It's known as the worldwide leader in the brushing market after all, so let me jump straight into the toothbrush instead. The Oral B Power Toothbrush - Professional Care 3000 is exactly as impressive as the name suggests. Naturally, as a result, you can expect much whiter cleaner teeth since it promises 5x better cleaning along the gum lines versus a manual brush too! 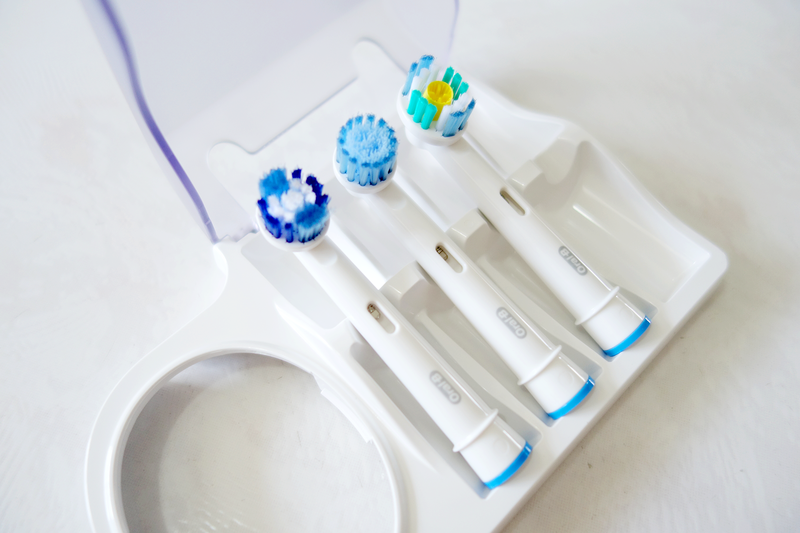 :D As seen above, there are even 3 specific toothbrushes to switch to as and when depending on your situation. For my Dad, he's pretty old already and nearing 70. So one attribute that makes me feel safe giving this to my dad is the Visual Pressure Sensor that helps reduce brushing force. If you're wondering why that's so important, it's because our gums tend to be more sensitive as we age, and our enamel slowly thins down. 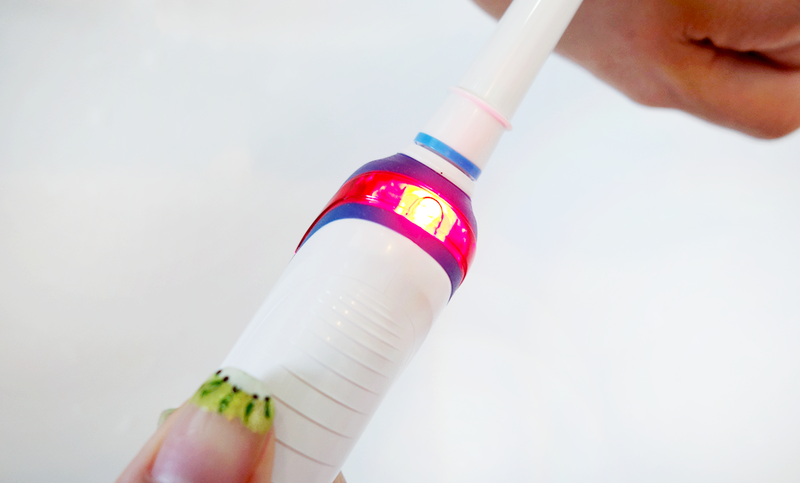 Brushing too hard actually causes more harm than good; and with this bright red light in action, it's easy to keep in mind to lessen the force whilst brushing. I'm not lying here that my Dad loves Oral B toothbrushes! In fact, he called this a total godsend because his old one is almost dying out (though he's letting me test drive it first hehe since we can change brush heads later for him - gotta love the ease of this toothbrush). "Some years ago when I was travelling with fellow manager in the region on a sales visitation I was shown an electric tooth brush which he carried with him. I cannot remember the make or model, but my interest was piqued. I bought my first Oral-B electric toothbrush about 9 or 10 years ago. It was a lower end travelling model which was light and serves it purpose. After a few years usage when the battery was not able to be recharged fully I switched to the current model and found that it was a great improvement. The toothbrush charged quickly and was able to maintain its charge for a few days without being recharged which was useful when I forgot to bring my travelling charger on a couple of trips. During the years I was using it (and I am still using it) I surprised my dentist when I go for my biannual checkups. He said that as I have a very low level of plaque build-up he does not need to spend too much time cleaning my teeth. 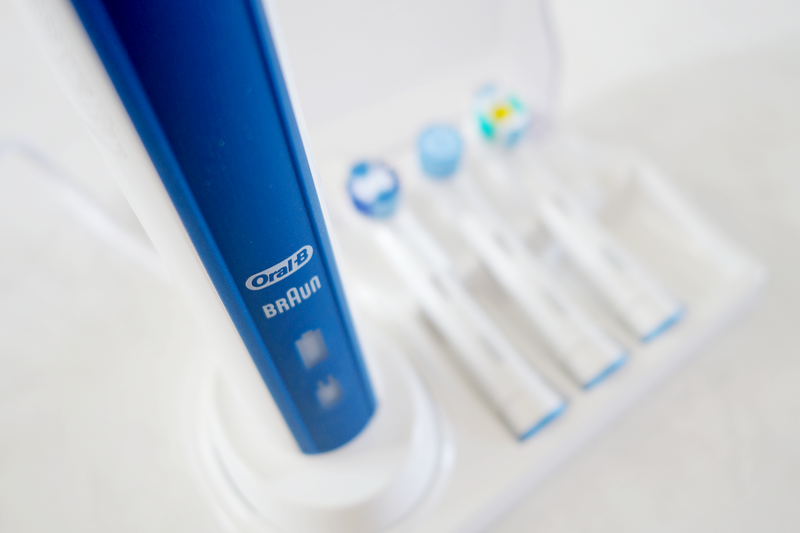 So it seems correct brushing with the Oral-B electric toothbrush was effective and I had made the right choice switching to it." As for myself, I've been using this Professional Care 3000 toothbrush and I must admit that it's been so great to brush with this. Personally, the part that won me over is how it also has a timer that notifies me when it's time to change to different quadrants of my mouth as I brush; because I used to stare at my clock and watch the hands tick to time myself at 2 minutes LOL. Those were the not-so-good old days. Hello Technology indeed! I'm so blown away by this. Gross fact: I've been keeping check of how bad my breath smells in the morning HAHA because I know I don't always brush well with a manual toothbrush, but this really promises a deep clean. And JUST SO YOU KNOW, my breath really has been fresher and my teeth don't have that furry feeling heehee ;). If you'd like be one of the THREE lucky ones to win this awesome gadget for your own beloved Dad, simply join in the Instagram Father’s Day Giveaway contest that will go from the 8th to 21st June! 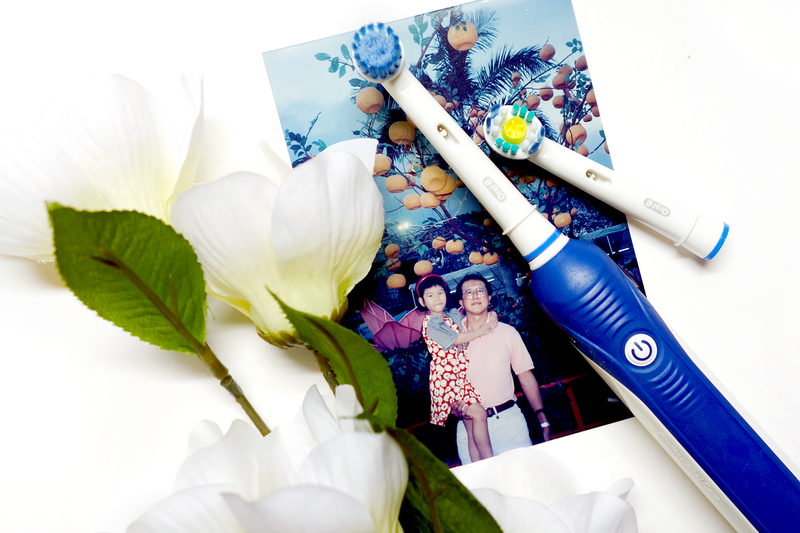 Tell us why you would like to win an Oral-B Power Brush for your dad! Hashtag #oralbsg AND #powerofdadsg 4. 3x winner will be selected to win a set of Power Brush for their dads. 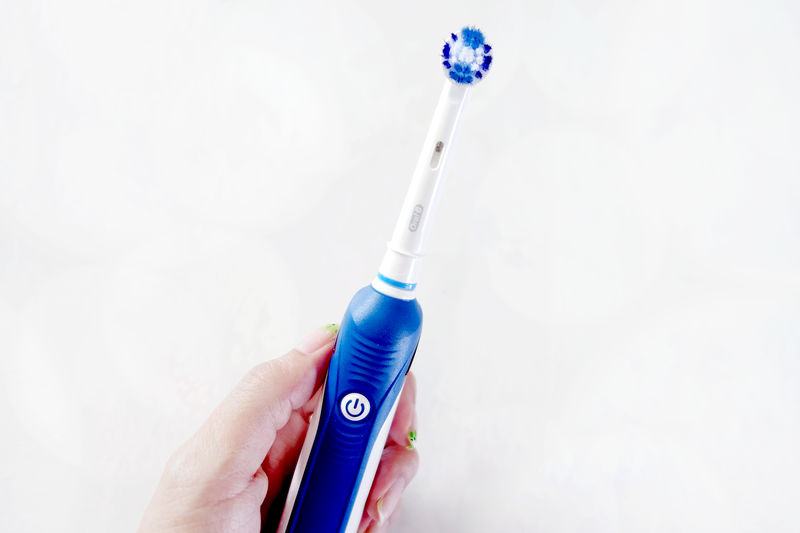 Otherwise, you can save UP TO 50% on selected models of the Oral B Power Brush on Qoo10 too! :) Make this a Father's Day that both you and your father won't forget!